While it mimics the Air Jordan 2's retro model design, the 32 is built for the modern age of basketball sneakers and is the first signature Air Jordan model to feature a Flyknit upper alongside premium leathers. The Air Jordan XXX2 pays homage to the AJ2 in numerous ways, such as the luxury leathers and shaping. The Peter Moore designed Air Jordan 2 launched in 1986 and went in a different direction after the Air Jordan 1 model. Jordan wanted a sneaker that could not only be played on the court but one that was crafted to be worn off the court. The brand went to Italy with the thought in mind to create the first luxurious basketball sneaker crafted with fine leathers. It forever changed how we look at style and performance models in today's game. 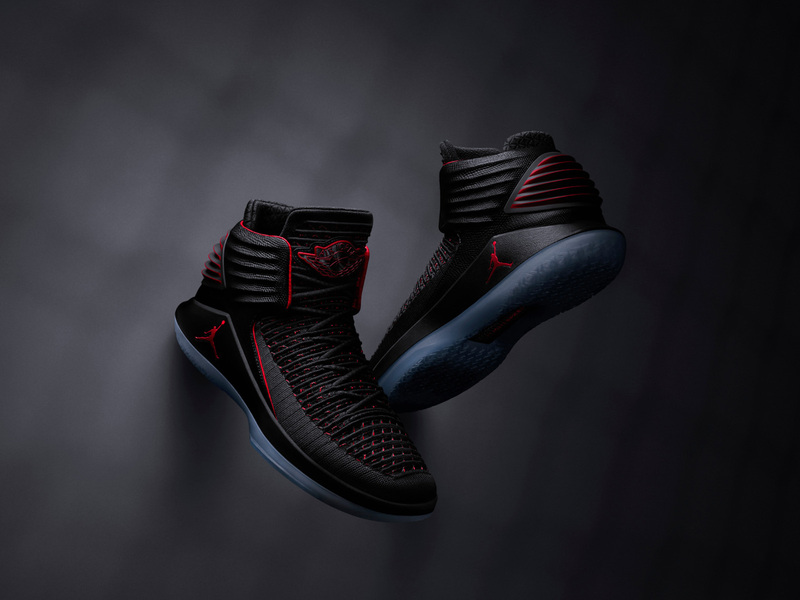 "With Jordan shoes, we obsess the style in a way that puts many of the performance elements under the hood, so to speak,” said XXX2 designer, Tate Kuerbis. “For example, I wanted to make the laces just disappear into the knit structure, but inside there is a whole harness system with webbing that really locks down your foot."